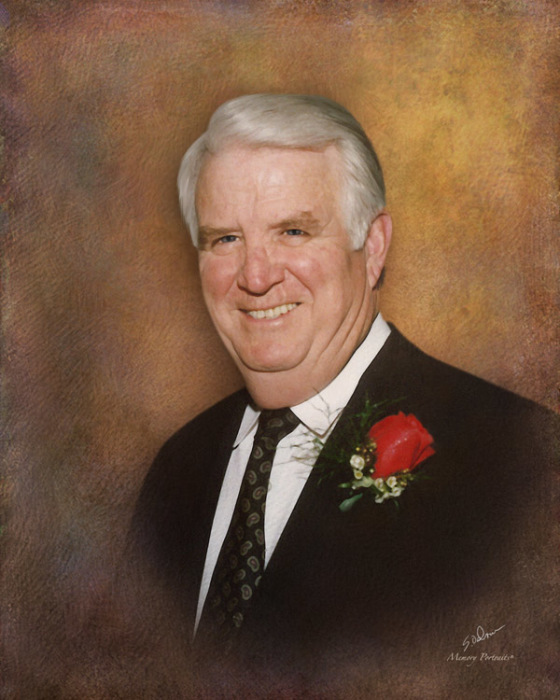 John Leslie Collard of Waxahachie, TX passed away April 5, 2019 surrounded by his family. Les was born September 2, 1939, the 2nd child of John Vernon and Ruby Mae Gray Collard in Corsicana, TX. The family later moved to Ennis where Les attended school and graduated in 1957. Les played football for Ennis and remained a fan, attending games with his longtime friend Jackie Walker through the years. Les was voted “Friendliest” in his senior class and that title seems to have carried throughout his entire life as he never met a stranger and befriended everyone he met. Les joined the Naval Reserves after high school and graduated from the University of North Texas. Les worked for Southern Pacific Railroad and retired as a locomotive engineer. Not wanting to be retired, he went to work for Leggett & Platt and retired from that position in 2001. Les married Linda Zaidle in 1970 and she preceded him in death in 1999. Les married Diane Johnson on February 14, 2003. Les and Diane were members of Waxahachie Bible Church and are so grateful for the love and support of Pastor Bruce Zimmerman and their entire church family during Les’ illness. Les formed a breakfast group that eventually became known as the ROMEO’s which was a well-fitting acronym for “Retired Old Men Eating Out.” The group grew over the years and became an amazing support group and Les loved them all dearly. Les is preceded in death by his parents and one brother Jerry Collard. He is survived by his wife Diane Collard, children Kevin Collard, Brandi (Kevin) Harper, Kimberly Johnson, Missy (Russell) Phillips and Tricia (Kyle) Ward. Les was an amazing Papa to his 13 grandchildren and 5 great-grandchildren and will be missed greatly by them all. He is also survived by brother Rod Collard and Mike (Sherie) Collard and Sister Judy (Fred) Zapletal. There are entirely too many nieces, nephews and extended family to name, however, he loved them all. Services celebrating Les’ life will be held Wednesday, April 10, 2019 at 2 o’clock in the afternoon at Waxahachie Bible Church with Pastor Bruce Zimmerman officiating. Les will lie in state from 11 to 1:30 Wednesday prior to the service at Waxahachie Bible Church. Arrangements especially for the Collard Family by Wayne Boze Funeral Home.